TORQ have been working with the Honda BSB Team over that last 6 months, educating the riders and support staff on sport specific nutritional interventions, along with correct training methods in order to enhance the riders’ performance. Paying key attention to rest and recovery along with periodised carbohydrate intake, regular protein feeding and with paramount considerations to hydration, allowing for optimal thermoregulatory control. 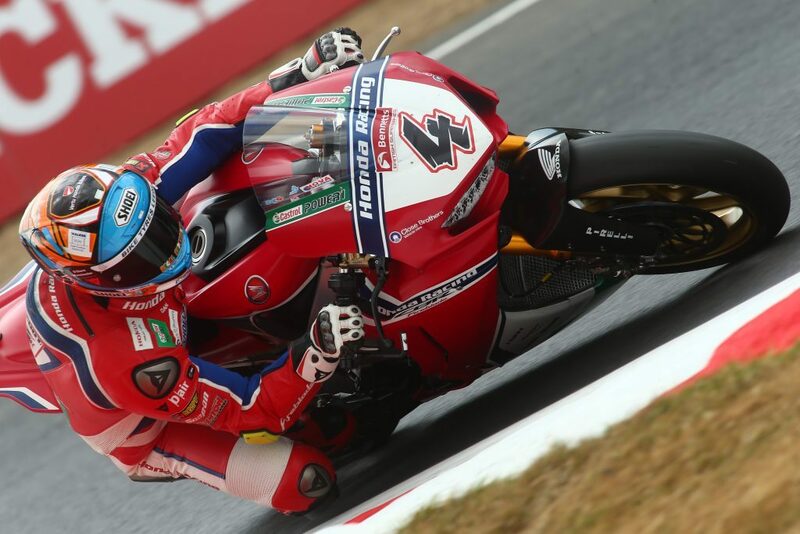 Round 6 of the Bennetts British Superbike (BSB) Series saw Honda Racing compete at Brands Hatch for the second time this season. With both riders Dan Linfoot and Jason O’Halloran recovering from crash related Injury, along with the complications of hot environmental conditions, Honda BSB had to pay even more attention to pre and post-race nutrition. People may often question the physiological demands of superbike racing, due to the nature of the sport. There is a common stereotype attached to motorsport racing, and that, to be successful, a rider must boast a fine compromise of talent and bravery. When designing a race bike, the engineer must produce the most powerful bike whilst considering the structural limits of the machinery, but little consideration is often paid to the rider itself. With more scientific evidence emerging, TORQ understands that both training and nutrition can play a fundamental role in the rider’s ability to perform on the track during race days, by ensuring that the rider can effectively control power, regulate G-force loading, specifically when cornering, accelerating and decelerating. Furthermore, the riders are exposed to elevated cardiovascular strain, elevated core body temperature and psychological stress. Understanding that it’s the rider who’s in ultimate control of the motorcycle, it is the job of sport scientists to ensure that the rider can optimally handle the machinery, anticipate the next bend and execute correct movement patterns enhancing the riders flow within the race, ultimately leading to greater performances. Watch the video above to understand the challenges both Dan and Jason face during a race weekend with Honda Racing, and how TORQ play a role in fuelling such performances. If you compete within motorsport and feel you require some guidance to help improve your performance, then TORQ will be able to assist you. We employ a range of sport scientists who will be able to consider the requirements of your sport and provide you with sufficient training and nutrition information which might just give you the tenths of a second you have been looking for. For more information, please feel free to contact us.